Silver, Sheer, Sleek, and Shiny, our classy silver ribbon will impress, define, and enhance any kind of gift and any kind of craft! Whether you need to add something extra to your gift wrapping or want your wedding invitation to scream the word 'class', this ribbon will definitely heighten your style to super elegance. Add this silver ribbon to your New Year's Eve presents, your Christmas presents, even your wedding presents and be able to say that your gift looks the fanciest out of the bunch. All you need to do is tie it in a sweet bow and viola! your gift is ready to be handed out. The sheer material will not only make your gift shine but also make it as sophisticated as it gets. 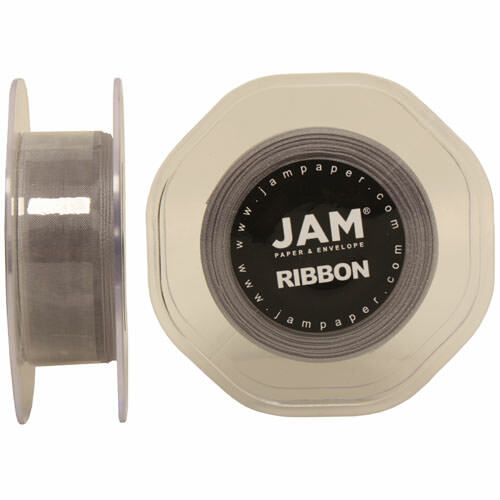 Silver Sheer Ribbon is 25 yards long by 7/8 inches wide, so it will last you a long time! It features a sleek sheer finish in a durable, quality organza material.